Do you feel like you have no control of your life and are at the mercy of outside influences? Do you often feel physically and emotionally drained? Have you received a medical diagnosis that is concerning? Do you have a bleak outlook on life? Do you have dreams but lack the confidence and motivation to make them come true? 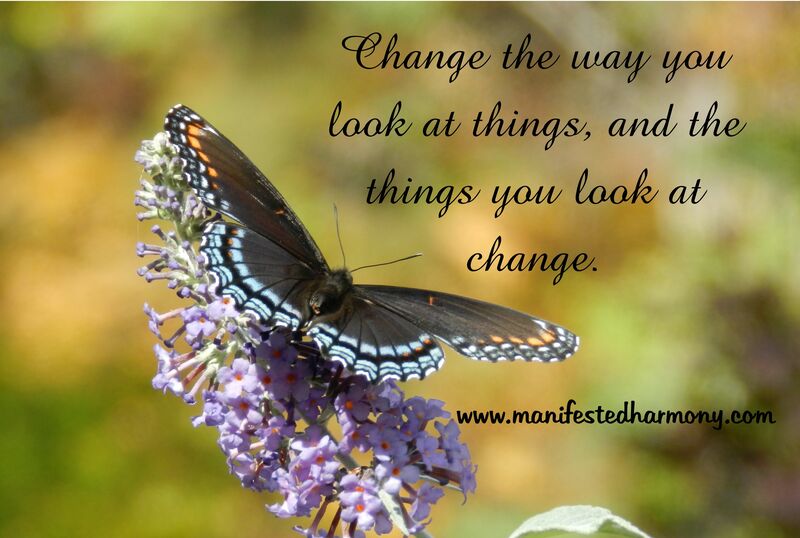 Do you feel like your life has gone down the wrong path and you feel out of balance? Are you concerned about the physical and/or behavioral wellness of your pet? If you answered yes to any of these, I can help! I will teach you about therapeutic-grade essential oils and vibrational energy techniques (Reiki, Integrated Energy Therapy, and/or crystals) together with mindset techniques to help you manifest what you most desire. 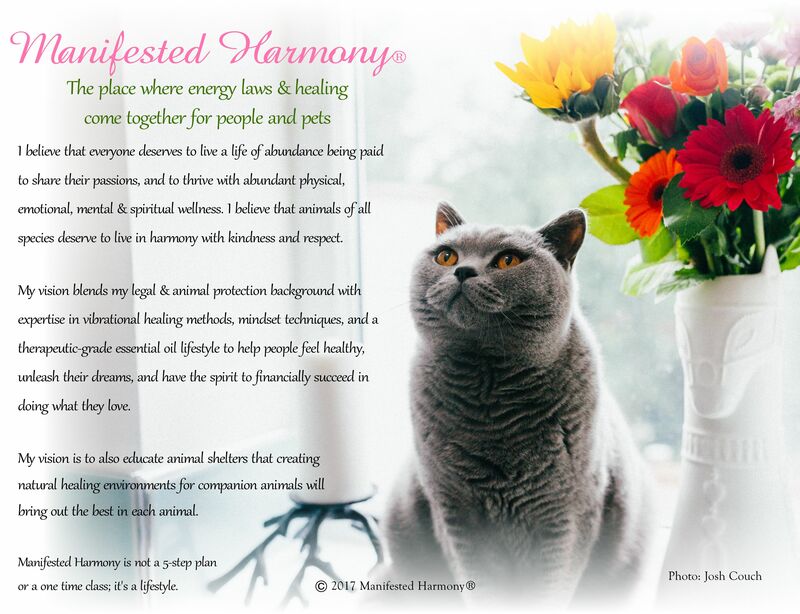 I also specialize in teaching you how to help the companion animals in your life through essential oils and vibrational healing. I know it works because it’s worked for me and my pets! So don’t wait for something to go wrong … take control now! 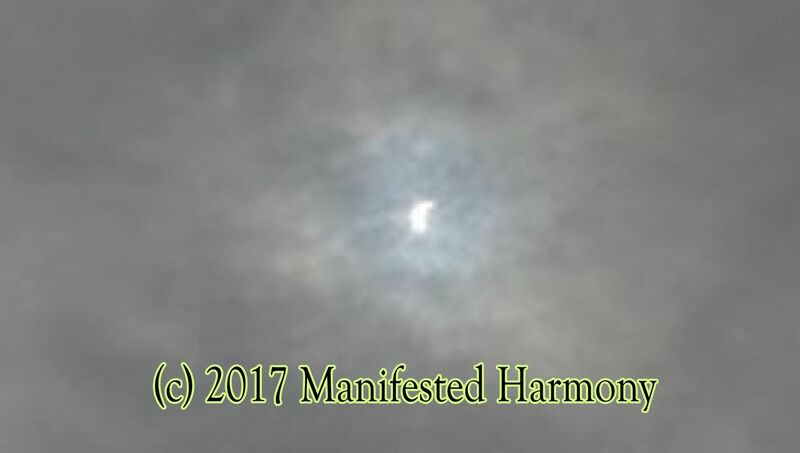 All content and photos on this website are the copyrighted materials of Manifested Harmony and cannot be downloaded or used without prior written permission.